It is the dawn of a new era. The Shadow Wars are over. The First Ones are gone. Now it is the time of the Younger Races, to meet the challenge of freedom and to reach out and forge their own destinies among the stars. It is the Earth year 2331. After years of relative peace and expansion, the Younger Races have united to resurrect the Babylon Project. A new space station has been built over the neutral world of Epsilon 3. It is a port of call for ambassadors, businessmen, wanderers, travelers of every sort. 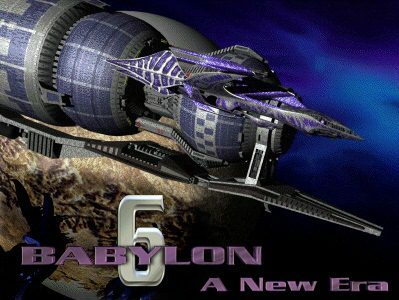 Welcome to Babylon 6. . .
All members must read the Novel Guidelines. Canon Characters in this novel will be NPC only and we will not approve any application that is for a canon character. All applications must be for an original character. If you have any questions, feel free to ask one of the Members of the Board. Note to Applicants: Please make sure that before applying you have read the Novel guidelines. We request that applicants describe as fully as possible who and what their character is, and what their intentions are in the novel. We can only consider your application on the basis of what you tell us, so this isn't a formality - it's a necessity. Please note that admission is not guaranteed and is at the discretion of the MoBs. DISCLAIMER: This novel is for entertainment purposes only. 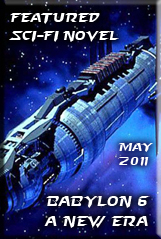 While we have moved beyond the series itself, we are still using the Babylon 5 universe and that which was found in it. 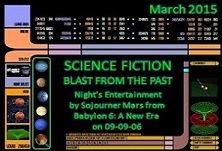 ** Babylon 5, characters, names, and all related indicia are trademarks of Time Warner Entertainment Co., LP. � 1999 Time Warner Entertainment Co., LP. All Rights Reserved.